Hard for me to believe it’s not even been three years since I first met the ETs of Orion in a vision in Italy. I show their beauty and love embodiment to the best of my ability in this 2011 art. The knowledge of the Orions became clearer and clearer to me as I neared Antarctica. 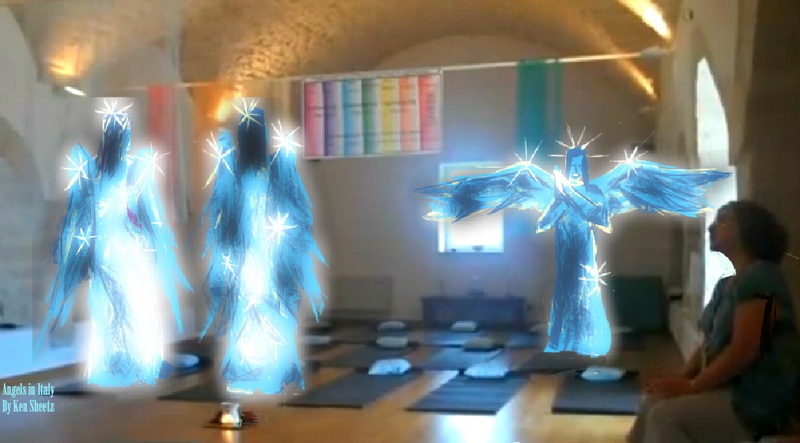 This is the first time I am sharing what I have learned about these blue guardians of our blue world. At first I believed seeing the Orions was simply a product of my overactive imagination, as I was the only person of the meditation group of 20 to see them that fateful May 5, 2010, in a horse stable turned yoga hall, nestled in the gentle rolling hills of Pulia Italy, during a group healing. These “aliens”, quote marks as they have lived on earth long before us, are from the Orion star system. Orions stand 7 to 8 foot tall and have gorgeous blue skin that glistens with the dazzling inner energy of their huge hearts. Their large wings, that often get them dubbed angels in sightings, are of a spiked crystal substance rather than feathers. Although the Orions look much like us, they evolved from a species that can best be described from our earthly inventory of labels, as a cross between insect, bird and mammal. Orions are in awe of the diversity of life on our world as their planet’s life is homogenous and hive-like in intelligence. when action in called for to protect us from ourselves. These ETs love the cold, as planet Nectaar, the world they evolved on, is an ice moon that revolves around a gas giant twice the size of Jupiter. Orions are therefore at home in both the Antarctic south polar regions and the Arctic the north. These magnetic poles serve as their main bases, safely hidden from our dimension, and where they reside in the millions. The Orions also have outposts scattered across the globe, where they observe human activity and intervene on our behalf when needed. Orions do this vital work through willing human psychic subjects, like me and many other people, as it’s forbidden, much like the Prime Directive in Star Trek’s subconsciously channeled wisdom, to take direct action. One day, when humanity has sufficiently evolved in the Shift and takes its rightful place in galactic society. we will meet them in the flesh. 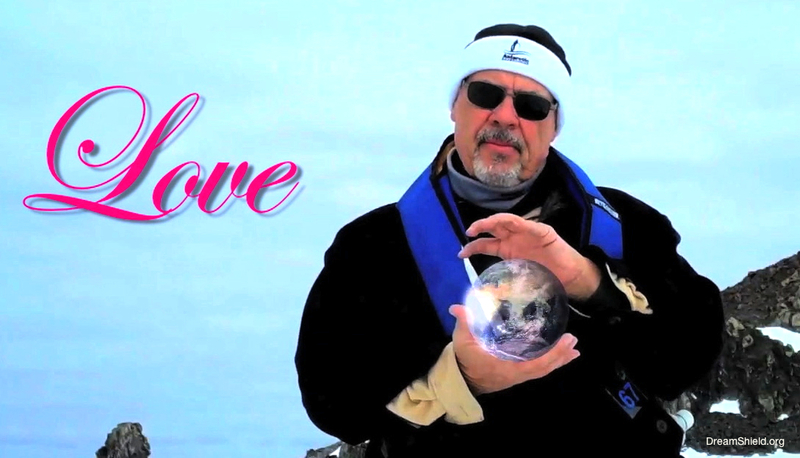 I am blessed to have gotten to know the Orions well through meditation and through my trip to Antarctica. They set me on the mission to save our world 5,125 years of fear and misinterpretation of the Mayan calendar. A mission that reached its successful conclusion in Antarctica precisely on 12.12.12 with 24 meditations they guided me to perform. And they honored us with a direct meditation for #11 through my channeling the Orion called Ohom, who has many names in human culture.